OTTAWA — Amarjeet Sohi will take over the energy file just as Ottawa wraps up its purchase of Trans Mountain pipeline next month, a crucial juncture for the government as it also looks to carry out a dramatic overhaul of Canada’s review process for major projects. Sohi, formerly the infrastructure minister, was named minister of natural resources in a cabinet shuffle Wednesday. His predecessor Jim Carr was moved to the international trade diversification file. The member for parliament for Edmonton—Mill Woods will assume the position just as Ottawa prepares to buy the Trans Mountain pipeline and related assets from Kinder Morgan Inc. for $4.5 billion, apart from roughly $6 billion to build the expansion pipelines, which will likely require recruiting other investors. The decision effectively nationalized the pipeline, placing Canada’s pipeline politics front and centre as the federal government aims to balance its ambitious environmental goals with Canada’s dependence on fossil fuels. “It’s going to be a really challenging portfolio for him,” said Martha Hall Findlay, president and CEO of the Calgary-based Canada West Foundation. “Minister Sohi now is facing not only the fact that resources are clearly hugely important in Canada, but it’s also intertwined with the environmental agenda of the government,” she said. 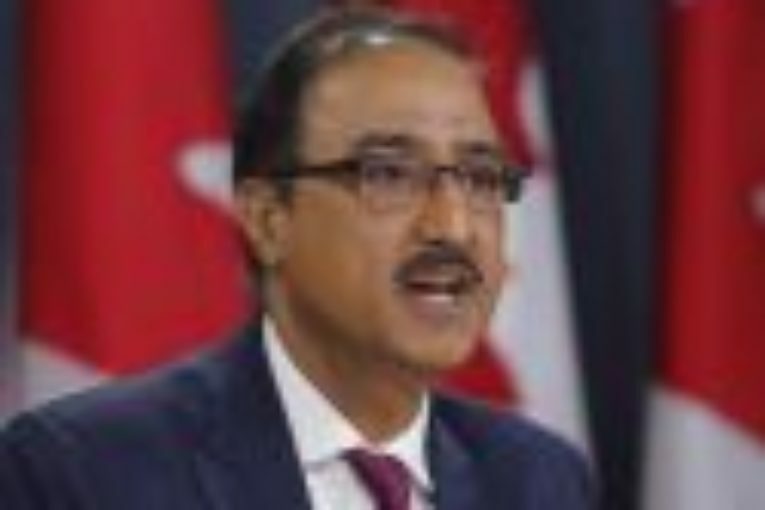 In an interview with reporters Wednesday, Sohi said he had “big shoes to fill” as energy minister and repeated Ottawa’s pledge to build the pipeline. Frank McKenna, deputy chairman of Toronto-Dominion Bank and former New Brunswick premier, said he welcomed having another minister from the prairies take over the file, after Carr who represents Winnipeg South Centre. “I think that’ll be well received in Alberta,” he said. McKenna says Ottawa was slow to get behind the Trans Mountain project, and only intervened after Kinder Morgan threatened to halt all non-essential spending on the project in April. “It was my sense there was no full commitment until the time the project started to go off the rails,” McKenna said. The purchase of Trans Mountain comes as pipeline capacity constraints continue to weigh on oil producers. In a report Tuesday, consultancy firm IHS Markit lowered its forecast for oilsands production compared to its 2017 estimate, largely due to delays in building pipelines. It said further delays could continue to tamp down output as major oilsands players defer project expansions. “Should advancing pipeline projects face additional delay, the investment outlook and IHS expectations could be negatively impacted,” the report said. Sohi’s appointment also comes as Ottawa’s environmental assessment legislation for major projects, Bill C-69, enters the senate. Findlay and others have been critical of the bill, saying it gives the environment minster added discretionary power over whether a project goes ahead, and introduces uncertainty around major projects. Some observers have said C-69 should have been more of an equal effort between several ministries, but was instead led by the Ministry of Environment and Climate Change and therefore imbued with a more environmentally-conscious bent. The bill was reviewed by the House environment committee rather than the energy committee, and only had minimal witness hearings from the energy department, Findlay said. Doug Black, an independent senator representing Alberta, who has been critical of Bill C-69, says the minster will likely receive a “daily barrage” of criticism due to the highly politicized nature of the file. “I think that he’s going to earn his pay,” Black said. Black said he approves of Sohi’s appointment as the natural resources minister, but noted that he thinks too much emphasis has been placed on the environmental rather than oil and gas interests.